In its latest update to its home resale forecast for 2017, the Canadian Real Estate Association announced that the Alberta housing segment will see moderate growth in transactions—but prices will remain at current levels. CREA stated that Alberta sales will increase by 3.5 per cent next year, while average sale prices will decline by a miniscule 0.8 per cent. “The forecast rise in Alberta's sales in 2017 mostly reflects slow sales activity in the first quarter of 2016, a repeat of which is not expected,” the CREA report noted, as quoted by CBC News. Home price drops in the province are predicted to become more manageable in the future, especially considering the recovery in the trading value of oil. Alberta housing prices fell by 4 per cent year-over-year in 2016. 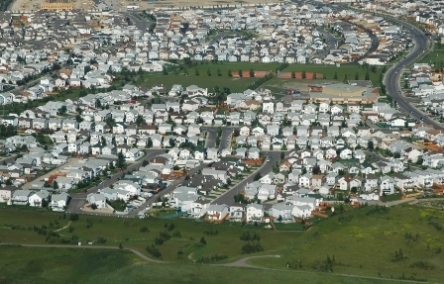 Contrary to initial projections, Alberta has not seen a mass sell-off in residential properties following downsizings and closures among petroleum-extracting companies in the province, CREA chief economist Gregory Klump said. “What we've been seeing is that listings have really been held in check and there isn't that oversupply situation that would lead to the kind of price declines that are associated with a massive oversupply of homes in the face of weak demand,” Klump explained.